On arrival at Manali Bus stand. Pick up & transfer to hotel by car. Day free for relax and personal activity. Explore mall road in the evening. Dinner & overnight stay at Manali. After breakfast, Visit Hidimba Devi Temple, Mahadev Temple, Vashist Hot Spring, Club House, Van Vihar & Tibetan Monastery. Evening free at leisure. Dinner & overnight stay at Manali. 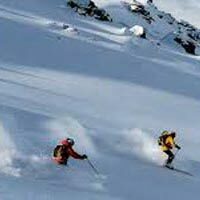 after breakfast proceed full day excursion to Rohtang Pass, On the way, You will see Nehru Kund, Solang Valley, Kothi, Gulaba. Evening return back to your hotel. Dinner & Overnight stay at Hotel. After breakfast, Proceed full day tour to Manikaran Sahib, Vaishno Devi Temple along with River Rafting Point, Kullu, Shawl Industry. By evening return back to Volvo stand and board Volvo for overnight journey to Delhi.